Submitted by maki on 2013-05-03 20:14. I went on a one month vacation so I couldn't follow the course live, so I will have to do it after it finished, but I'm very happy for this course, since I borrowed so many things from japanese cousine, I like how well balanced is (mostly for the many different vegetables used and the many ways of cooking them-and the use of season vegetables too), so now I can learn how to cook it entirely (fish is the most difficult part for me, since in my country there's no a lot of culture revolving around fish). My only concern is how to find the frozen rice to use as an example. I'll see what I can do, over here is only a chinese town and it dosen't have many japanese ingredients (less fresh ingredients like cooked rice)i'll go to every store to see if they have it. And then I may bother you a little if I encounter an imposibble wall while trying to cook all these. These lessons have been really informative and also its been something I have been looking forward to. Though to be honest I enjoy all your posts. Thank you so much for teaching us be it from lessons, recipes or your thoughts and perspectives on different subjects. The entire basic cooking lesson was wonderful and I'm so glad that you were inspired to do it. And this post about the basic place settings for a meal is brilliant. Thank you for your hard work! Looking forward to more (including the fish posts!). Thank you Maki for this/these lessons. They are very helpful in learning a new cuisine. This lesson, and the whole course, have been extremely helpful and informative. You have taken a topic that could be overwhelming and made it very interesting and not intimidating. Thank you! Blessed woman, thank you for all you have done to teach, educate and help people have good pictures of what things should look like. I followed along with the course and ended up putting it together to make a nice meal for my girlfriend and family a couple weeks ago! I tend to get into a certain culture's food in spurts and cook a few meals in that style, and your series of posts inspired that to be Japanese food. The stakes were a little bit higher than usual, though, since my girlfriend is Japanese, and her dad's a phenomenal cook, so I really had to impress. Thanks for the great course and consistently awesome recipes and posts. Thank you for the most 'put together' lesson on Japanese Cooking. Definitely learnt much, particularly about cleaning & cooking fish - always wanted to know how to grill & make salmon teriyaki the Japanese way. Look forward to more 'Just Hungry' inspired meals.. I really enjoyed this course and got a lot out of it! I've been away from home for a couple months so it was nice to have this as a side project to fill up my evenings and weekends and focus my cooking a bit while also learning new techniques. Wonderful series that I am now trying out after a long vacation away. For a next series, how about meal plans for special events such as birthday, a special celebration or just Sunday dinner. The 'what to serve together' is what I find most challenging with the various cuisines that I practice (Japanese and Indonesian). Easy enough to do single dishes but it is the combination that makes it special/cohesive. 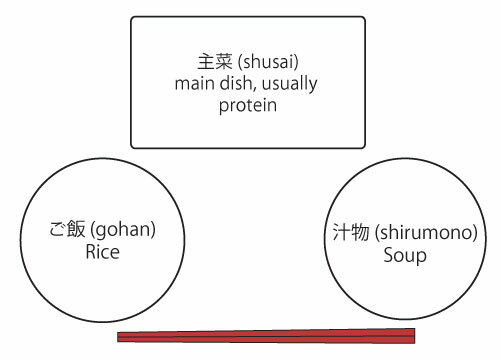 Placing the rice bowl on the left seems to make perfect sense for right-handed people, because they will be picking up the rice bowl with their left hand and the chopsticks with their right. The lesson series is very informative and clearly presented, thank you Makiko-san! 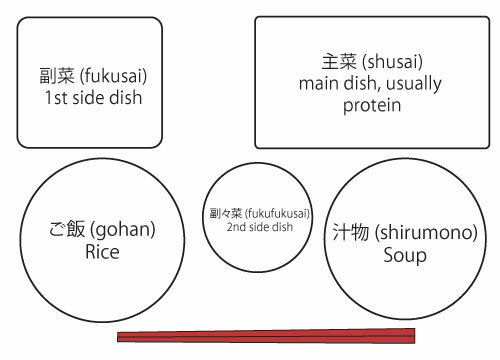 I have found this 101 course very useful even though I have cooked Japanese style food on and off for years. I recommend it to my relatives who are gluten intolerant and who need inspiration for children's lunch boxes. Life got in the way and I haven't finished working through all the fishy lessons yet, but the salmon teriyaki I made was way better than any I've cooked at home before. Given how poor many of the store-bought teriyaki sauces are, I can't believe how simple making it from scratch was! Maki-san, this was such a wonderful series. 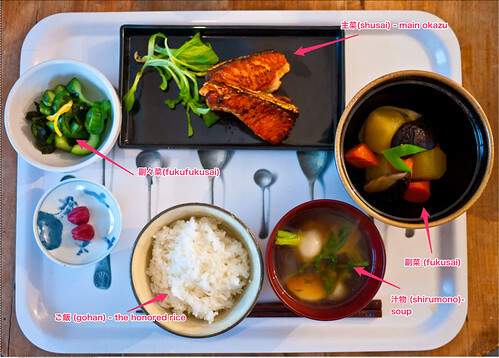 I grew up enjoying my mother's and grandmother's Japanese home cooking but never paid much attention except for the absolute basics (i.e., rice and tea). Now that my mother is gone and my grandmother is in a nearby nursing home, I'm trying to take familiar food to her a few times a week. It's a nice institution, but their cooking is good ol' Midwestern USA fare, which is... well... she often doesn't eat it and she's so sleight that any weight loss is worrisome. I just wanted you to know that you are bringing joy to a 98-year-old Japanese woman in a Midwest nursing home who would otherwise be very isolated and unhappy. I can't thank you enough. Id love to see another series on pickling but for keeping the pickles for an extended period of time like over winter. I also agree with Gerrit about a series for special holidays or festivals that would be really interesting. Thank you for such a great blog id be lost for japanese cooking without it. I grew up helping my mother in the kitchen (I am American), but I never really thought about technique or any of that--I just did what she was doing. Seriously "learning how to cook" for me came from Mrs. Chiang's Szechwan Cookbook: Szechwan Home Cooking--which, while being published when raw ginger and even non-boil-in-bag rice was "exotic" in my area, had amazingly authentic and delicious Chinese recipes! The best part of it was that the authors very carefully explained why the order of ingredients, spices, etc was important in a particular dish, and how to do "unusual" knife cuts. Knowing why one cooks a certain way is even better than knowing just "to" cook a certain way. Your explanations of how to choose ingredients, assemble a menu, and add those oh-so-Japanese understated finishing touches to every dish are very appreciated. You have a very good teaching tone, both relaxed and authoritative, and both new and old cooks would do very well to become (re)acquainted with your techniques. If you ever come out with a washoku cookbook, I will be the first to preorder!